Improper drainage can lead to a host of problems for your household, and it can be especially damaging to your foundation. However, drainage correction serving San Antonio can help you keep your foundation safe and dry , which is crucial if you want to protect your home’s structural integrity. Drainage correction is not the easiest task to handle on your own, so you’ll need to work with your concrete specialist to ensure that you get the results you desire. Feel free to take a look ahead as we shine the spotlight on trenching for drainage correction. Your foundation is at the mercy of the soil surrounding it; if the soil lets in water, moisture can seep through the foundation walls and enter your home. You are particularly susceptible to this problem if your home does not have a proper drainage system. 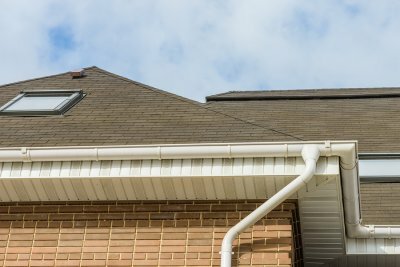 If you notice water pouring off of your roof and over your gutters directly onto the ground surrounding your house every time it rains, you are not doing your foundation any favors. This creates annoying puddles around your home, and it allows water to seep into the ground and affect the composition of your soil. Don’t hesitate to call your drainage correction specialist if this is happening on your property. Trenching is one form of drainage correction that seeks to displace the water that would land around the base of your house to a safer location. By modifying the level of the ground, your foundation repair and waterproofing professional can ensure that water does not pool around your home and seep down into your foundation. This can save you the trouble of dealing with a mold problem in the basement, thus keeping your home and family healthier. You will need your foundation repair specialist to help you with a drainage correction technique like trenching. When done properly, trenching can protect your home from a range of moisture-related issues; when done improperly, however, it can exacerbate your problems on top of being a waste of time and money.